1. Eric has a bike, which is too small for him. 2. The kids and I have a scooter, which is far too small for us. This poor scooter was not made to handle this much weight. We bought it back when the kids were much smaller, but now my son is bigger than the average Chinese woman, and I’m certainly not petite. We can all cram on, but it is physically painful for me to ride like this. I’m barely perched on the front edge of the seat. My arms get really sore from essentially holding myself up to keep from sliding off the front of the seat, and my rear end and legs usually end up going numb from the bad acupressure they’re under. It’s no picnic for the kids, either, though they get the lion’s share of the limited space. It’s tough to accelerate, which makes crossing intersections even trickier than normal. It’s best to be able to gun it to get through the breaks in traffic around here. Worse than that, the brakes are inadequate, as we found out a couple weeks ago when I was trying to go down a little hill. I could not stop in time as I merged with other traffic, and almost hit a guy despite me squeezing both brakes as hard as I could, and even jamming my feet down and digging my heels into the pavement to try to stop. (I hope this is the one and only time in my life that I have to literally drag my heels.) The only thing that saved us was the other guy speeding up to get out of my way. Anyway, that was terrifying proof that it’s really no longer safe to drive like this. We need a new combination of bikes that can safely transport all four of us. There’s many solutions out there, but here’s what we’re looking at. Little sanlunches of this type seem to be very popular with the expats around here, and they do look awfully handy. If we get one with a wide enough back seat, one parent can take both kids on errands, and there’s even decent space for a few bags of groceries. 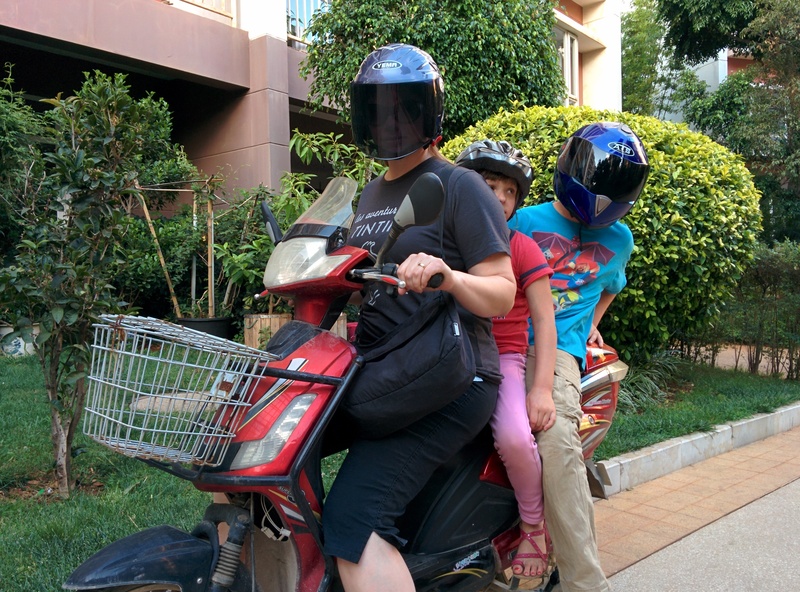 When we go out as a family, the other parent can ride the scooter, which will be rejoicing its electric heart out to only be carrying one Westerner instead of three. ***Psssst! I secretly am daydreaming about getting one of these bad boys! It looks like a cross between the Mystery Machine and an ice cream truck, or like I should use it to deliver tiffins about town, which amuses me greatly. I’m thinking about how many bags of groceries I could cart in this puppy. I’m thinking maybe all four of us could actually fit in this (because apparently it “seats 6.” HA. ), and how we’d all stay dry in the rain, and shaded in the sun. We plan to also get Eric an appropriately sized bike, especially as he’ll be doing a crazy-long commute once he starts teaching this fall. Most likely these purchases will need to wait until after our summer travels are over. Until then, it’s public buses and the “Number 11 Bus” (Chinese slang for your own two feet) for us. Oh my goodness, I want one of those first ones, I’ve never seen one before! 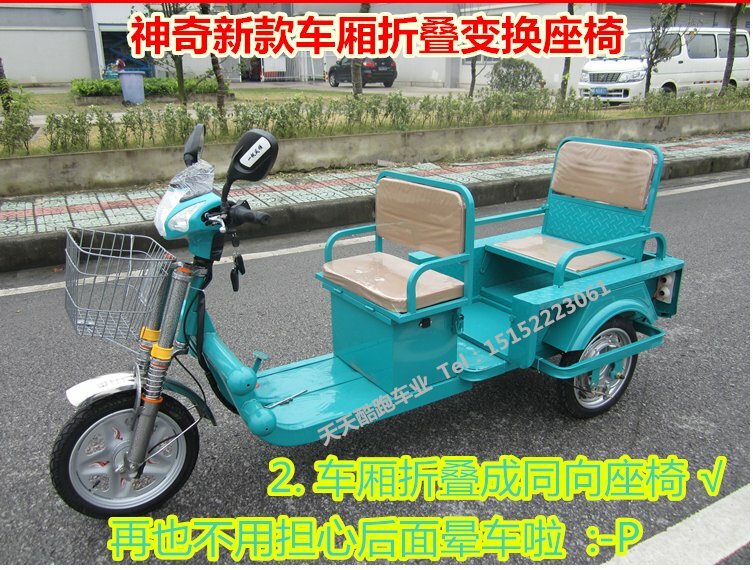 We’ve contemplated a tuk tuk of our own but they were outlawed in our city last year. 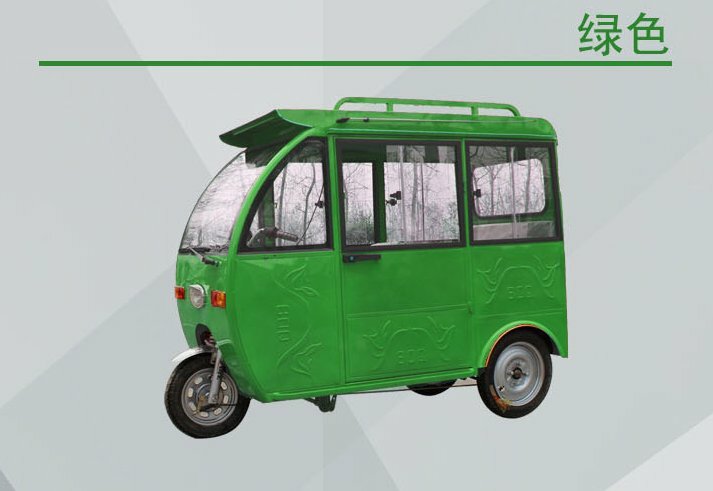 How do you say the number 11 bus in Chinese? I’m not entirely clear on the licensing on these types of sanlunche, either. They’re electric, not gas, so I think they may still be given a pass.